Every journey begins with this decision; what clothes to pack. 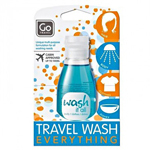 Once you’ve chosen what you’re taking, you’ll want to make sure your clothes stay looking as fresh as the day of departure. Start by choosing garments that are easy to wash. Check labels for fabric care instructions and look for wick-away, quick-drying materials that will keep you cool and wrinkle-free. You can scrunch the material in your hand to see if it creases easily. Gauze, ruched jersey, seersucker or a busy print helps to camouflage fold marks. Washing options: hotel laundry, coin operated Laundromats, drop-off laundry service or sink wash? The hotel laundry service requires time and is expensive and probably not your first choice. If you have a big load of laundry, some hotels have do-it-yourself coin laundry machines on site or hopefully you can find a local Laundromat that is close by. Drop-off laundry services are available in some cities. They usually charge by the pound and will wash and fold your clothes within 24 hours. (Here’s a tip; take a photo of the clothes you leave at the drop-off laundry to make sure you get everything back) Otherwise, there’s the hotel room sink! 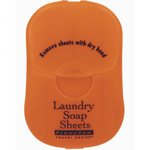 Bring laundry detergent or in a pinch use shampoo or regular soap. A universal flat sink stopper comes in handy when your hotel sink is missing a plug. Before hanging your clothes on a travel laundry line, roll them in a highly absorbent travel towel to speed the drying process. Hang the clothesline anywhere you can, preferably in a well-ventilated area. If your clothing is wrinkled, there are solutions! One possibility is to steam the garment by hanging it in the bathroom while you shower. It might take awhile but it will usually eliminate most creases. 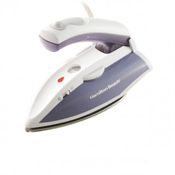 Dual voltage travel irons are efficient and can also spot steam if needed. If there is no ironing board you can lay a towel on a flat surface that can take the heat, such as a firm bed or a clean floor and use the setting just below the recommended one. 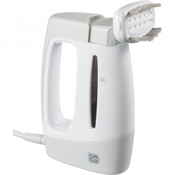 A dual voltage travel steamer steams the garment on the hanger and eliminates the need for an ironing board. 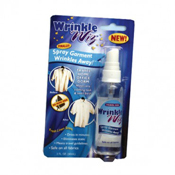 For quick touch-ups there are fabric relaxer sprays like Wrinkle Wiz™ that eliminates wrinkles without ironing or steaming and also reduces static cling. If you’re traveling with a straightening iron you could improvise and use it to touch up minor wrinkles. 1. 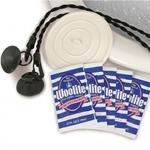 Store your toiletries in a leak-proof bag to avoid liquid spilling on your belongings. 2. 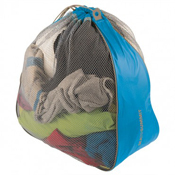 Separate your soiled garments in a laundry bag to keep your clean clothes looking and smelling fresh. 3. 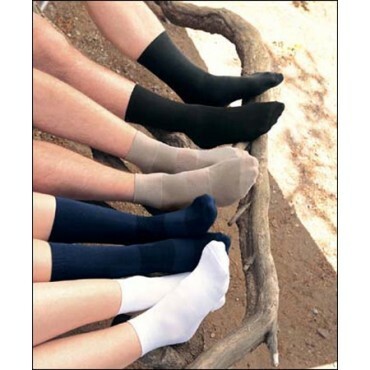 Pack your shoes in shoe bags to prevent scuffing and safeguard your clothes from dirt. 4. 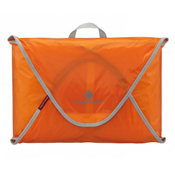 Bring a reusable inflatable plastic bag like the Vinnibag® for fragile souvenirs that can leak. 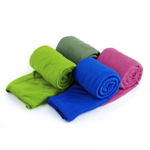 Once filled, pack it in the middle of your suitcase under soft clothing for better protection. 5. Roll your clothes instead of folding them to minimize creases and maximize space in your luggage. Fold garment in half lengthwise and roll from the bottom up. 6. 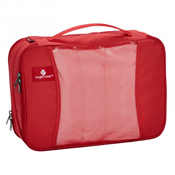 Use Packing cubes and folders to compress and organize clothing and keep it from shifting in your suitcase. Shop the Eagle Creek™ Pack-It system. Rub a bar of soap, a candle, a pencil or lip balm along the zipper’s teeth on both sides and slowly work the zipper free. The button pops off a shirt or pant.
. They often include a spare button and a few safety pins (bring extra!) to either sew the button back on or pin the opening together. A mini sewing kit comes in handy here too. Or you can use safety pins, any kind of tape (duct tape, scotch tape, fabric tape), paper clips, bobby pins, self stick Velcro dots or white school glue that washes out to temporarily hold the hem in place.